This topic contains 10 replies, has 2 voices, and was last updated by Enrico Caro 1 year, 7 months ago. This is not something we have seen in the past. Confirm that your installation has worked in the past and this is a new issue? What has changed that could have caused a change? Complete this form if we can login to your installation to investigate the issue, otherwise, send a screenshot of the Export Tab showing the entire field map layout and a link to the web form that provides the download link. Test troubleshoot, try disabling all plugins except Formidable plugins and test again, if it works, add the plugins back one at a time, then test to see which is causing the issue. Let us know the result. Hi, I disabled all the others plugin (except Formidable form because your plugin work with that) but I get the same error with all plugin disabled. The “preview PDF” and “export to PDF” buttons was working fine before, the only change I did is the upgrade to new WordPress version (now is v4.7.6) but I don’t know if this could be the problem. Could it be a server side problem? Could it be a cache problem? On my website was installed LiteSpeed Cache plugin, now is disabled, but I remember that when LiteSpeed Cache plugin was abled your plugin didn’t produce any pdf. I did also did move my website to a new server but after that the “preview PDF” and “export to PDF” buttons was working fine. Do you think that if I delete and reinstall your plugin the problem could be solved? And if I delete and reinstall your plugin can I import in the new installation the actual field map layouts? I am sending you, using the form that you linked above, the acces credentials to let you test my website. 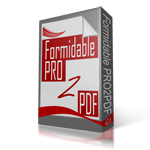 Use the Templates tab to export each of your field map layouts, then remove and reinstall the PRO2PDF plugin. Then, use the Templates tab again to import the field map layout templates. Let us know if that fixes all isues you are experiencing. I did remove and reinstall the PRO2PDF plugin and the field map layout and I have the same problem. I see that you logged in with the credential that I give you did you found somethin? We will need FTP access to find what is causing the issue. Please use this form to provide additional credentials. I sent you the FTP access credentials. I don’t know if you sow that now the PDF export button and the “preview PDF” and “export to PDF” buttons are working but the important is the download link [formidable-download form=”thsjuy” dataset=[id] layout=”1000″] placed in the submit message of the form REGISTRAZIONE that still doesn’t work. I hope that you can solve the problem. Below the message that is displayed in the page opened when I click on the download link. Please proivide a shortcut to the page with the form. Please do not post full error messages here as the text is too long and not helpful. I sent you the link to the page using your form. The website is in maintenance mode so you have to login with your credentials and deactivate the maintenance mode.